Have you ever planned a hiking vacation along the stretchy coastlines of the World? If no then it is high time you pack your bags and give beach treks a shot. Our mind’s eye imagines sleepy mountainous hamlets whenever the word ‘hiking’ is heard. Now try fitting in a picture of the vast expanse of blue water and intermittent appearance of green trees and yellow sands along a walking trail. Relax and walk on the shoreline and let the pleasant breeze caress you all along the journey. Here is a list of the top 10 coastal trails that every traveler ought to explore once in lifetime. 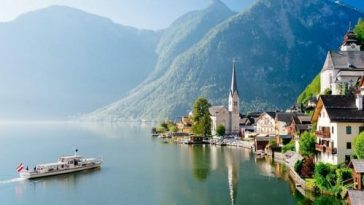 A Fjord is a long narrow inlet with steep sides or cliffs created by glacial erosion. The vast shorelines of the Fjords in the Arctic country of Norway provide some of the most adventurous coastal trails. 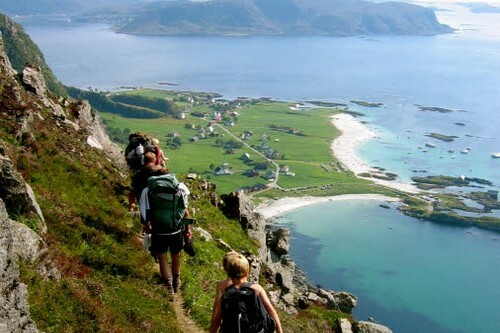 Hike up to the dramatic cliffs along the Fjords lie on the edge of it and peep down to the sea! The stunning beauty will amaze you. 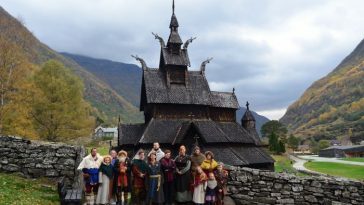 Meet with the only occupant in the sea cliff of Store Batalden in Flora and learn from her the secrets of the Fjords. 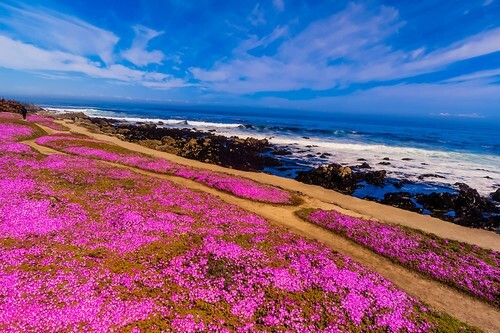 The vast elongated seacoast of California extending from Oregon in the north to Mexico in the south is a very well maintained waterfront with several hiking trails. 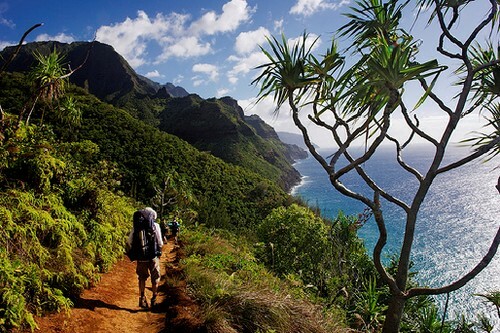 All along the trail the Pacific Ocean borders the blooming flowers, mystical rainforests and lagoons. If you get tired walking try hugging a Sequoia Sempervire tree- the tallest trees of the planet! It will instantly wash away all your fatigue. While on this route you may get an opportunity to witness the ceremonial Yurok Bush Dance known as the ‘Healing Dance’. The plentiful coastline of Sydney offers a plethora of experiences. 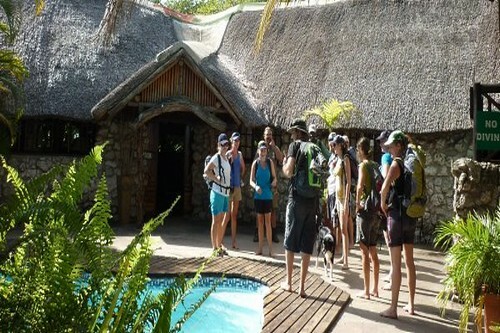 Want to understand the basics of bush walk? Want to watch migrating humpback whales? Take a walk through the Royal National Park. Do you like gazing at the white yachts peacefully sailing against the Prussian blue backdrop? Hike along the Chinamans Beach to the Balmora beach. How about climbing through underground tunnels along the edge of the coast? 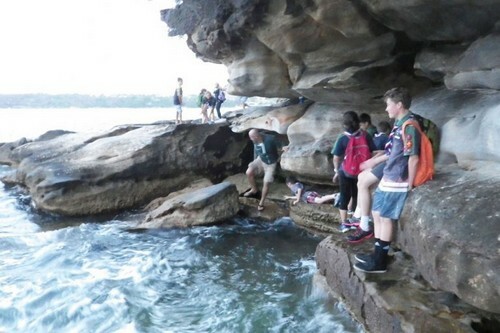 If this sounds interesting to you then stroll along the dazzling Pacific shore in the Sydney Harbour National Park. This hiking strip is any trekkers’ dream. The trek route encompasses extremely panoramic locales and poses challenge in every step. Fitness and presence of mind both are required to successfully complete the trial. The entire route is carved out of a cliff which is rugged and endowed with lush green forest cover. The journey needs a lot of strength and energy but the view that will meet the eye is bound to provide the adventurer with oodles of passion. Resting amidst the remote region in South Africa this trail will take you close to nature. The bay is formed by a network of four interconnected lakes and an estuary which opens into the Indian Ocean. The experience this coastal hike offers is quite enticing and enriching. Cross the huge sand dunes on foot, spend the night in a bush camp and if you are blessed enough you might even end up catching a glimpse of the mother turtle waddling ashore to lay eggs! 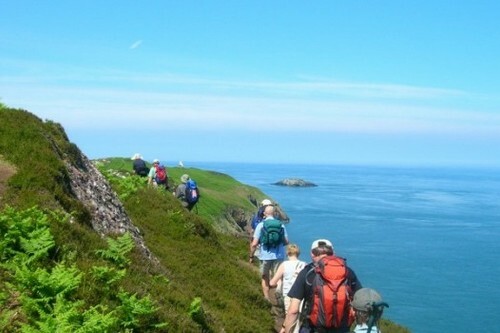 Coastal trekking culture is quite popular in the United Kingdom. Anglesay Coastal Path partially encircles Caernarfon Bay an islet of the Irish Sea. This is a 200Km path which occasionally runs inland. One such inland route leads to the past sentinel of Prince Williams and Kate. The topology of the place is varied as it has the luxury of flaunting a royal blue horizon and a parallel running grassy meadow. 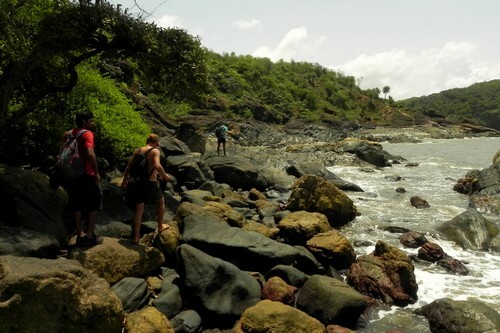 This beach trek will take you to some of the untraveled havens of India. Gokarna is a pilgrim town thriving by the Arabian Sea and it offers some exquisite virgin beaches of the country. The distance between its beaches are short and the variation of the geography is heart touching. The route encompasses enormous cover of sands which quickly change into wild thorny plantations. The vegetation abruptly seizes to exist and rocky structures jut out. The best part about this trail is the lack of crowd. 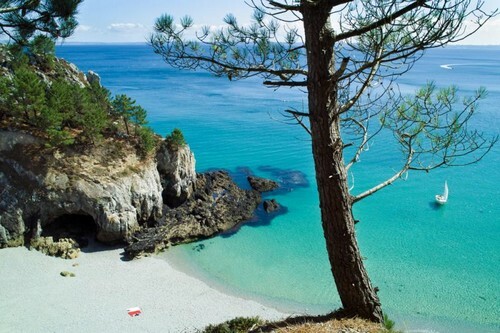 Try meditating on one of these beaches! The unique appeal that Turkey possesses is hard to find in any other nation. Its transcontinental nature, the myths and truths around Istanbul, the fascinating history of Hagia Sophia and Turkey’s Ottoman rule have thrilled mankind through ages. However this walk deviates from the popular touristy routes and gives us a sneak peek of the Mediterranean Turkey. 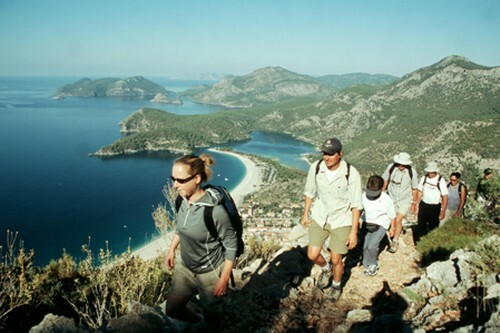 The trail runs from Fethiye to Antalya and covers a mighty 540Kms. Enjoy the Roman roads and mule trains with the blue Mediterranean as your companion. 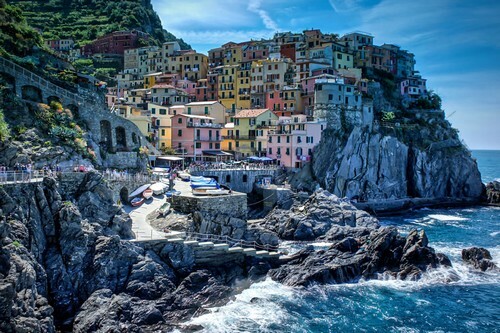 ‘Love at first sight’-this is the phrase that rightly describes Cinque Terre. It is the land of the five fishing villages where cars are banned. The five villages are in close proximity to each other and almost dangling off the cliff. ‘The Azure Trail’ is the most popular of the pathways and it connects all the five villages. Walk through the amazing maze and bite on a pizza cooked over wood fire. Let the charm of these five hamlets of Italy grasp all five of your senses. Prepare to get bowled over by Brittany’s versatility in this trail. The pink Granite Coast, the long sandy beaches, the unnerving water sports and the regular fishing villages all exist in perfect harmony. The track is a 360 mile path from Morlaix to Mont-Saint-Michele. It takes about a month to complete the stretch in one single trek. If you are running out of time split the trek and choose your own route. Checkout the ultimate guide to Brittany.